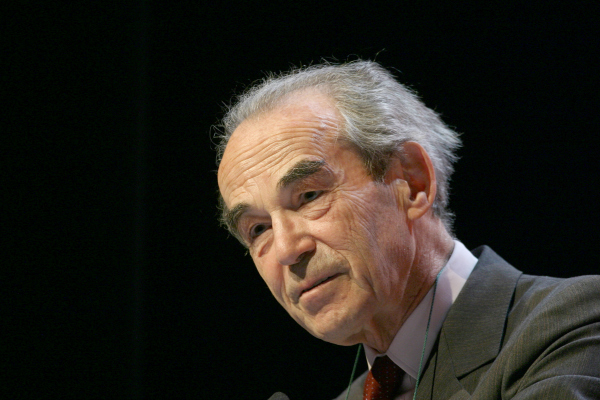 The idea for a common public prosecutor office in the EU is not new, said Badinter, who authored the law that abolished the death penalty in France. “The project for a European prosecutor goes back a decade. We are not lacking ideas but political will,” he said, insisting on the necessity of such an institution. However, in practice it seems more complicated. Indeed, there are two opposing views on the most suitable way to set up a common public prosecutor. The European Commission on the one hand foresees the creation of a real ad-hoc institution led by a European prosecutor appointed by the EU Council for a non-renewable eight-year mandate. He would be empowered to effectively engage in prosecution actions and would be assisted by deputy prosecutors, also appointed by the Council, and deputy prosecutors in the member states. The second view, the Franco-German approach, is less ambitious. Both countries consider that it is far too early for the Commission model. According to Paris and Berlin, it would be preferable to give Eurojust more competencies to deal with cross-border crimes rather than creating a new European body. “It is better to progress continuously than to make a leap forward too abruptly," said Robert Badinter. In his opinion, the second model is more effective in this respect, especially since the project requires unanimity among the member states. The Brits are absolutely opposed to it and so the project would then have to be created through enhanced cooperation. “Organised crime is organised evil and today criminals take advantage of the difference in the judicial systems in the EU,” Badinter said during his hearing at the European affairs committee of the French Parliament. The EU priniciple of subsidiarity has hindered the creation of a European public prosecutor. The principle states that the EU may only intervene if the national or regional bodies are not able to do so. In October 2013, the French Senate raised the issue that the proposal may infringe this principle, leading to a review of the text by the European Commission. On 11 February, a majority of the MPs present at the hearing of Robert Badinter seemed favourable to the establishment of a European Public Prosecutor Office, as proposed by France and Germany. Some were more sceptical, such as Jacques Myard, who asked Badinter how the EU could have a prosecutor without a common criminal law. Some member states already said they were in favour of the project, such as Germany, France, Portugal, Italy, Austria, Belgium, Luxembourg, and the Netherlands. “Today we need more Europe not less”, the former minister said at the hearing. Enhanced cooperation, which requires the signature of at least nine member states, would therefore represent a first, more flexible, step than the Commission’s proposal towards a more consolidated Europe. Always more Europe!! What crap!!!! More of the clowns who are clearly making a balls-up of the current situation? Another fine model to be developed – like the European Arrest Warrant!!!!!!!!!!! WE need an European public CIA to fight against organized crime ! All member-states should have E.U. prosecutors agent or E.U. s.w.a.t. like Agents.! See ultimately org. crimes at EU-states borders are raising So we need more federal EU police-officers , we need more united EU prosecutors to fight against corruption the more the better because defense is dropping in local states and crime is raisin’ ! We need to have more united defense hardware maybe a fusion of local states hardware to get a strong one . So agree i can only with ! Most drug runners and those dealing in forced prostitution are most happy to spread their activities across as many borders as possible to avoid detection. When we add money laundering and illegal migration it all becomes a lot clearer. How can Europe manage without a European agency?